A number of cabinet papers were to be presented yesterday (4) in order to provide concessions to the public but the process got hampered due to the stay order issued by the court, Minister Bandula Gunawardane said yesterday. He said a cabinet paper by the Finance Ministry to purchase paddy from farmers for a fixed price was also on the cards.“I was to present a paper seeking approval to appoint expert committees to look into providing tax concessions to investors, promoting investments and establishing 5,000 villages dedicated to exports. However, we respected the court order and prevented the cabinet from convening,” he said, adding that previous concessions including the fuel price reduction would not be reversed. Meanwhile, Minister C.B. 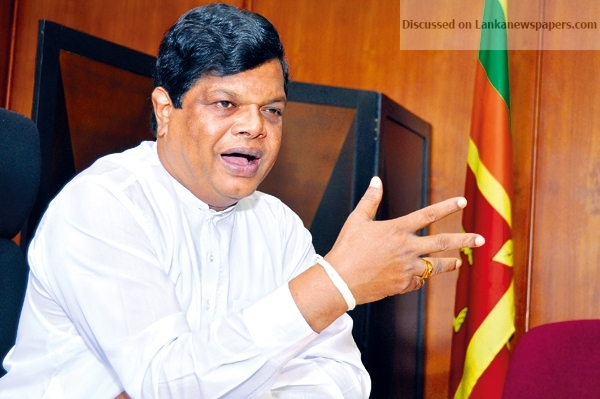 Ratnayake said they made plans to solve the salary issue of estate workers as well. “Because of the court order, we couldn’t get Cabinet approval,” he said. ← A shift from brains to brawn?